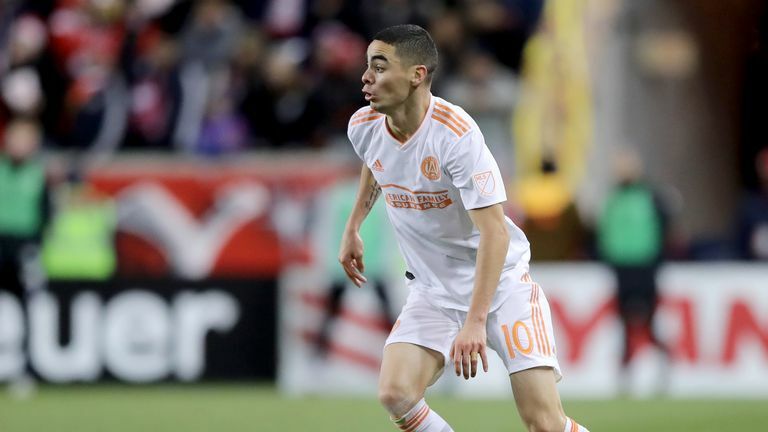 Rafa Benitez insists the qualities Miguel Almiron has to offer Newcastle should be the focus instead of his club-record transfer fee. The Magpies broke their long-standing transfer record - the £16.5m paid for Michael Owen in 2005 - to bring Almiron to St. James' Park on a five-and-a-half-year deal on Deadline Day. Benitez was keen to shift the focus away from the Paraguay international's £21m price tag, though, stressing that was the going rate for an attacking player in the current market. "[Almiron's signing] means that we realised that we needed something in this position," Benitez told Sky Sports. "Obviously the offensive players are more expensive. We've been talking about a No.10 for a while and it's a position that, if you bring in someone, it has to be expensive. "But the main thing for me is forget about the money, are we happy with Almiron? Hopefully we will be happy. "He has the potential, pace, work rate and ability to help the team and do something that we didn't have before." 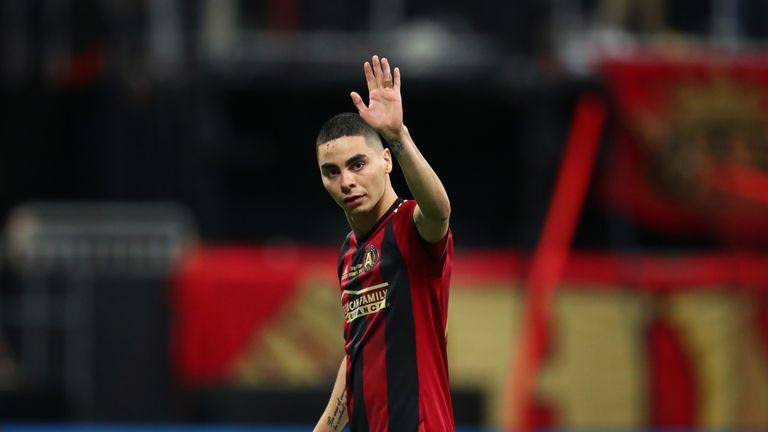 Almiron's arrival saw Benitez secure the second of three January transfer targets, following the loan signing of full-back Antonio Barreca from Monaco. "I'm happier because these two players fill the gap and also, with the character they have, they can improve the team," Benitez added. "It's something that we needed, and you can see the reaction of the other players around - the wingers and full-backs are running faster and the centre-backs are happier because there is another offensive player to help the team. "It has been positive for everyone and we will see how positive it can be. I am happy because we have two new faces and happy because we can concentrate on football. "We are in a relegation battle, any distraction can be very dangerous. I wanted to be sure the team was focused and the players proved they were focused by getting the results we needed against Cardiff and Manchester City. This has to be the same now. Newcastle travel to Tottenham on Saturday, live on Sky Sports Premier League, but Newcastle fans will have to wait a little longer to see their record signing in action, with Almiron ineligible to play at Wembley. Benitez, however, is confident his squad can carry on from where they left off after shocking champions Manchester City on Tuesday, as they go in search of a third consecutive win. "We know how strong and good Tottenham are, but we are confident because we had a good performance against Manchester City and the team were also good against Cardiff," the Spaniard added. "We have the feeling that we can perform against anyone, and if we do things right we can get results against anyone. "But, at the same time, we know it will be very difficult because one situation, free-kick, corner, mistake can make the difference too."